Camila Espina is a fourth-year mass communication Ph.D. student at Grady College specializing in emerging media crisis communication. Broadly, her research interests focus on digital m dia as well as the role of the Internet and social media affordances on audience perceptions, attention and behavior. 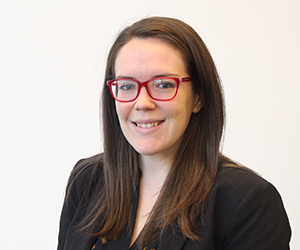 She is currently working on her dissertation, which explores the nuances of online social-mediated crisis, disaster and risk communication in hopes of leveraging these tools for effective public emergency management. She is a senior researcher at the Grady College Digital Media Attention and Cognition (DMAC) lab. Her collaborative work in the lab has resulted in several studies that have been well received at major leading conferences. Although these projects are mainly grounded in her main area of interest – digital media effects, these studies span several disciplines including journalism, advertising and health communication. She primarily works as a teaching assistant for the advertising and public relations department at Grady College. Her teaching specialty is in public relations, specifically writing for public relations, grammar for public communication as well as news writing for public relations. Prior to starting graduate school, Camila worked as a journalist in Puerto Rico. Her articles were featured in a number of niche as well as mainstream publications such as Diálogo, Diálogo Digital, Paréntesis and El Vocero. She earned her M.A. in Media Studies from the S.I. Newhouse School of Public Communications at Syracuse University, and her B.A. in Information and Journalism from the University of Puerto Rico, Río Piedras Campus. Wojdynski, B., Espina, C., Northup, T., Bang, H., Lee, Y., & Sridhar, N. Attention and Recall in Online Slideshows: The Influence of Human Exemplars. Paper accepted for publication at Computers in Human Behavior.